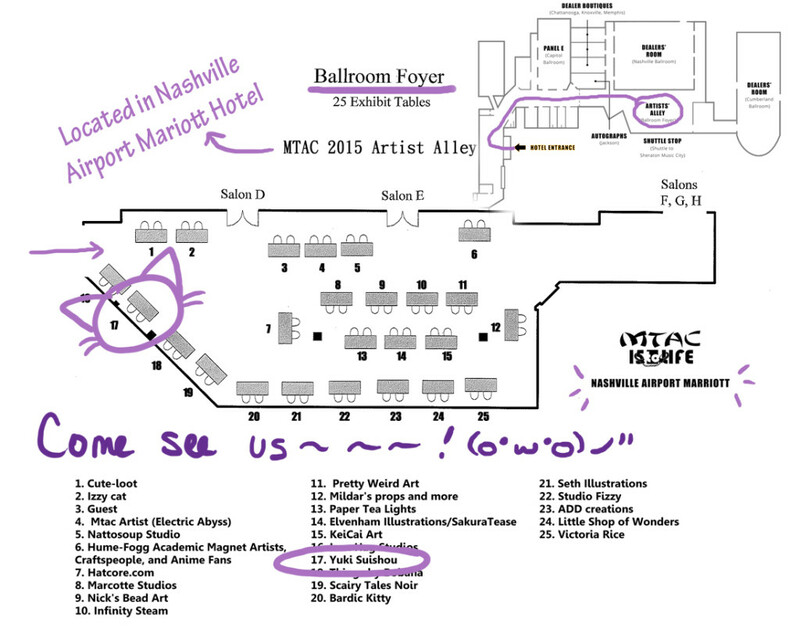 The con is only a little over a week away, and since we finally got our table layout for the Artist Alley, I can share that with you! Seeing the layout really makes it real, you know, that I’m in the Artist Alley again ;v; I’m really grateful to be able to return two years in a row, and also that I learned so much last year. I learned both what to do and what not to do, and so I’m praying this year will be even better. ^^ I’ll try not to be so awkward and shy ;v; orz…. *Notice: My online store will be closed until April 6/7 to allow me plenty of time to update it with new products and stock levels. Thank you for your understanding.